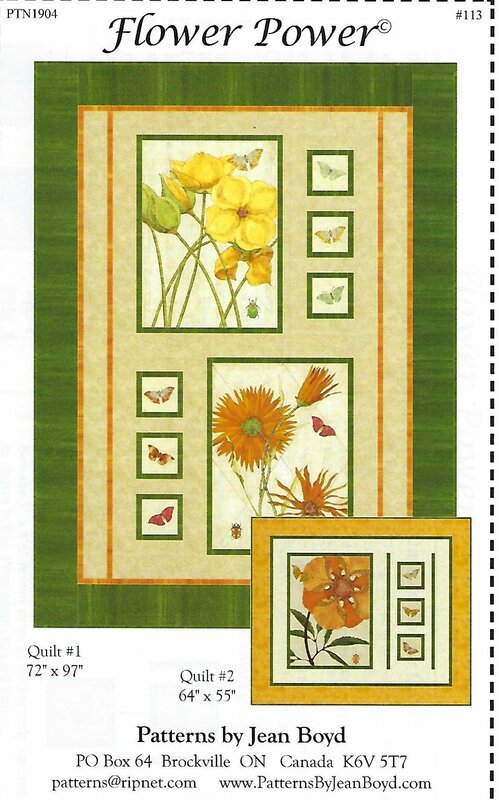 The Flower Power Quilt Kit features lovely flowers and butterflies. The Flower Power Quilt Kit includes the pattern and the fabrics for the top and binding. The finished quilt measures 72" x 97".